At secondhand markets items get the chance to have an extended life. These markets are entertaining gathering places where you can go on a journey of discovery into the realms of taste and culture. You can indulge in shopping with a clear conscience in the name of recycling. If you buy something you don’t want then you just sell it at the next market you go to. At the markets meet and expose ourself through the things we crave and discard. In the project we ask the questions: When does an object have value? When does it lose its value? And when does it become trash? 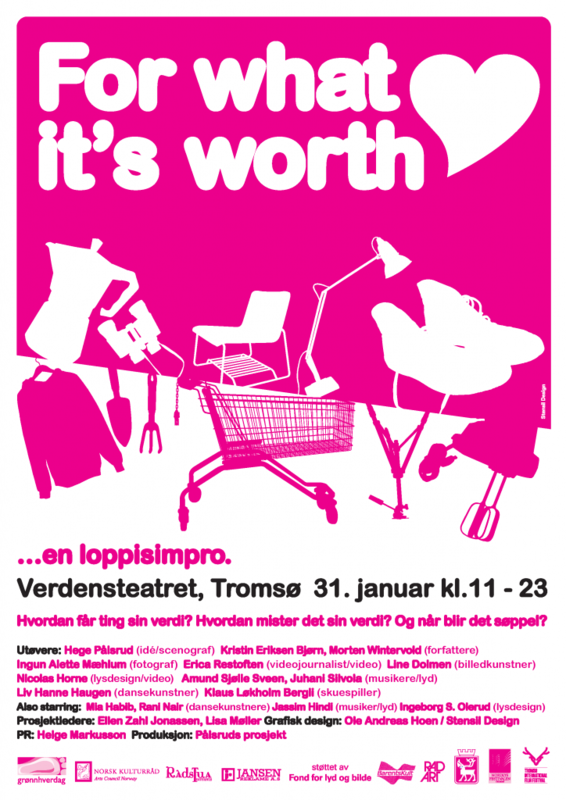 For what it’s worth…was first arranged 31 January 2010 at Verdensteatret cinema in Tromsø in cooperation with Grønn Hverdag’s secondhand market and as a part of the Nordlys Festival. 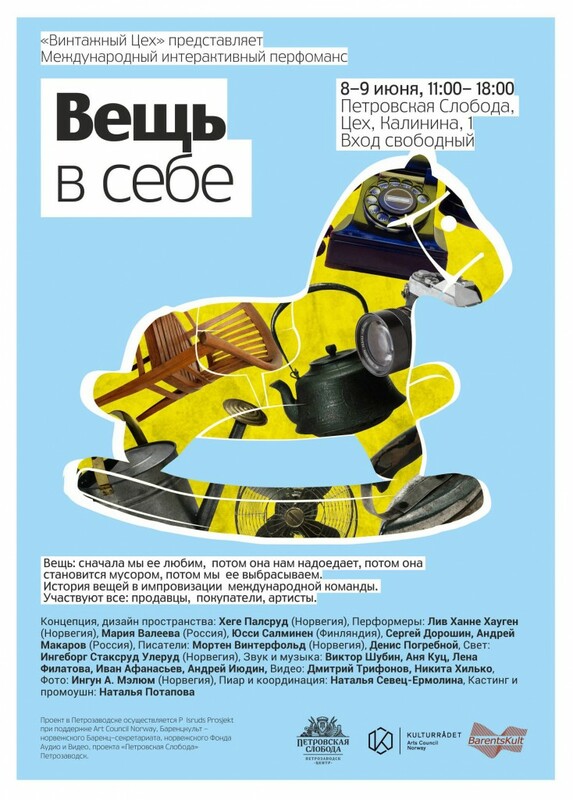 In Russia the title is “Вещь в себе” (the object in itself) and it took place in Onega Tractor’s closed factory in Petrozavodsk 8 and 9 June 2013. The cooperative partners were the Vintage Shop secondhand market and real estate developer Alexandrovsky Zavod. The project was supported by the Norwegian Barents Secretariat, Arts Council Norway and the Fond for Lyd og Bildet. Hege Pålsrud is planning more Secondhand Impros and is looking for markets that want to be cooperative partners and artists that want to participate. In the spirit of recycling she shares the idea as an open source – so be inspired and give objects an extra life in the limelight!